This engaging and useful presentation focuses on a compelling Social Networking Strategy for New and Existing Small Businesses! 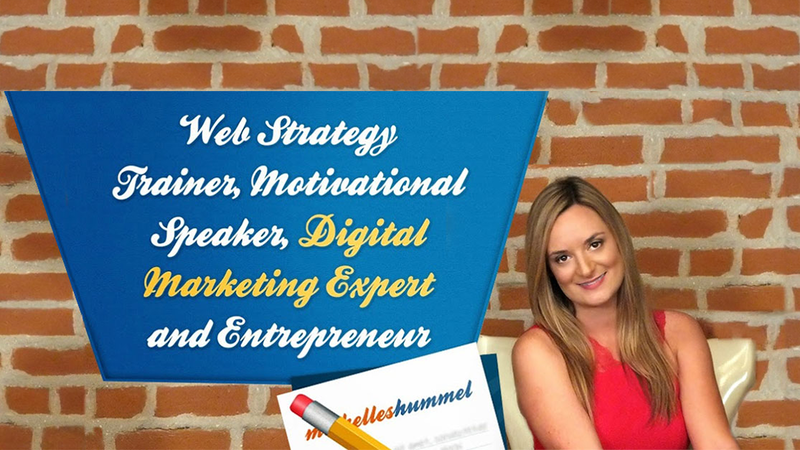 Presenter Michelle Hummel is a passionate Internet marketer with over 15 years of successful online marketing experience. She holds an Internet Marketing degree and, in the ever-changing world of online marketing, strives to learn something new every day. Hummel has been nominated for Woman-Owned Business of the Year and has published a three book series, The Social Media Magnet: Everything You Need to Know to Attract Customers with Social Media, in which she shares her Internet marketing secrets. She travels widely to give keynote presentations and provide social media training. Hummel’s Web Strategy Plus team helps clients develop and promote professional websites. The firm specializes in helping franchisors develop integrated web marketing programs to drive leads for franchisees and recruitment. Pre-registration is required with a $20.00 fee. Select PayPal payment option to pay with regular credit card or PayPal account. Veterans receive a $10.00 discount. When registering enter discount code VETERAN. A valid ID is required at the door. Columbus OH SCORE Chapter provides FREE counseling and low-cost Workshops to new and existing businesses in Central Ohio counties. Visit us today to learn more.